This November, Red Roof is honoring all of our veterans with not only a 15% discount, but with a weekend getaway contest! Share a photo and a story with us on social media at @redroofinn of a veteran you would like to honor for a chance to have your nominated vet win a weekend getaway! Prizes: There will be 4 prize packs. 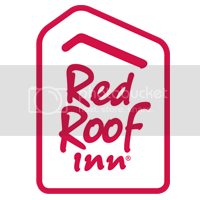 The prize pack includes 2 VIP passes for free nights at any Red Roof nationwide and a $250 travel gift card. 3. Winner will be chosen at random and announced on or around November 30th.